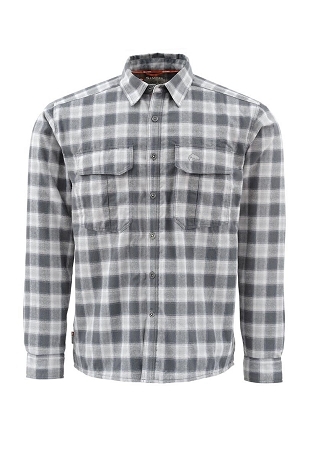 This is the Ultimate Flannel Shirt!! Lumberjacks may have inspired the first formidable flannels, but Simms takes bushwhacking into the 21st Century with this advanced micro-fleece-lined winter-fishing mainstay. Simms’ ColdWeather Shirt offers a quick-dry solution to rainforest fishing and features chafe-free, off-shoulder seams for added comfort. Stash fly boxes in two super-sized, top-close chest pockets. And stay all-around rad in ultra-warm, brushed-flannel plaids.